Gee Henry, a sometime singer-songwriter, was born in Antigua and lives in Manhattan. 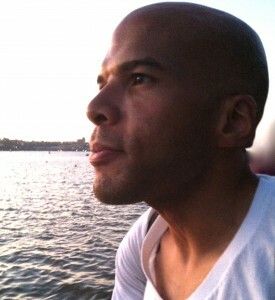 His fiction and non-fiction have appeared in OUT, BookForum, Huffington Post, the Brooklyn Rail, vol.1 Brooklyn, Paste, and various journals and anthologies. Gee’s musings can be found at http://geehenry.blogspot.com. Lately, Jacob felt something was missing and had always been missing. He didn’t know what it was, or what to call it, this missing thing. It was just a feeling, like when you find yourself imagining what your one true love might look like, and you realize that no one could possibly look like that, and, moreover, that you will always be alone. The feeling presented itself when he was in the subway, on his way to work, or it called to him while he was lifting weights at the gym. It wasn’t sadness, nothing so obvious as that. Actually, he was pretty happy in his life! At ease. He wasn’t getting fired at work. No one was dying. He was a pretty serious guy, mostly, so he felt like a lunatic for this impossible wanting. He found himself trying to get people’s attention in different ways. In the subway, he made a point of trying to purchase his MetroCard from the agent, rather than just using the machine whose purpose it was to eliminate such conversations. The agent just looked at him, surprised, perhaps at this breach of etiquette. “I am just a functionary,” the agent began, “a surrogate who is –“ Jacob turned away sharply, done. At the gym, he confronted a man who was reading a magazine at the triceps machine. “Are you using this machine?” Jacob asked. “Yes,” the man replied, not even looking up from his reading material. The man stopped reading and finished his set in a put-upon fashion. 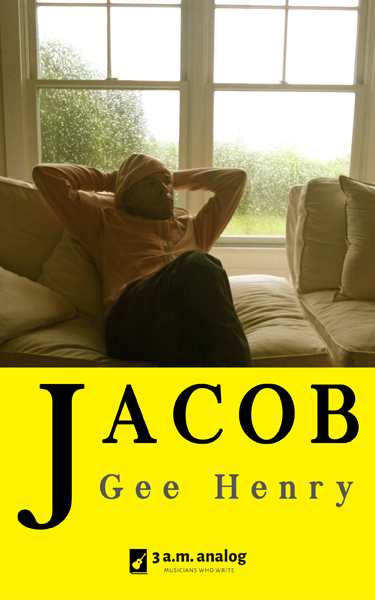 It was hard for Jacob to get people’s attention in general and, he supposed, the way life was, it would be harder now that he was feeling especially needy. It made him angry, though his anger embarrassed him. Well, that was easy, Jacob thought as he put down the phone perhaps a little more roughly than he intended. Perhaps all he had been missing was his grandmother, whom he had no memories of? Later in the conversation, his aunt told him about a boy who had been murdered near her home. She was following the case on TV. The boy had been shot after being followed by a member of the local neighborhood watch who deemed him suspicious-looking. The boy looked like Jacob, his aunt said. Jacob sighed. He felt even angrier, and the nameless feeling seemed even more distinct. The word to describe it was almost in his mouth, like if he cleared his throat he would be saying it.